The GRE General Test for law school admissions began as an experimental pilot program initially adopted at the University of Arizona and then expanded with Harvard’s announcement in Spring of 2017; now that Northwestern Law (officially) and Georgetown Law have announced their adoption of the GRE for law school admissions, the floodgates appear to have opened. With several top caliber law school accepting the GRE and others certain to follow, potential law school applicants now face a real decision, previously somewhat abstract, of whether to consider writing the GRE as an alternative to the LSAT or taking both to have the option of submitting a superior score to different schools based on their policies. 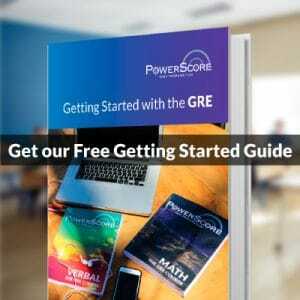 In the following post, we highlight existing resources we have prepared for students weighing the GRE against the LSAT. In addition, before this latest news came out, I conducted an interview with a current GRE student who is preparing to use her score for law school admissions. Watch the interview to get some insight into Mckenzi’s story and decision-making process. She has decided to prepare for the GRE to expand her options and make herself a more competitive law school applicant. Some of her circumstances may be familiar to you. At PowerScore, we have been working for over a year to prepare for this adjustment in law school admissions policy. In the following articles, we have analyzed the relationship between both tests and the likely implications of these changing policies. How will schools make admissions choices with two different tests?That’s so hard to know at this point! The simplest way is just a straight 1:1 percentile comparison between the two tests. Slightly more convoluted would be comparing all GRE applicants with one another and taking a subset, then doing the same with LSAT applicants. I doubt they’ll settle on anything quite so straightforward as that though, particularly if an unreasonably demanding alternative exists. That is, I expect the answer will be opaque—”we consider a number of factors in our admissions decisions, and each applicant is evaluated independently on myriad criteria”—and involve some strange and mysterious algorithm possibly unique to each school, much as LSAT and GPA weighting is now. I’m also not sure what the ABA will require in terms of applicant statistics reporting, so how much we can even see to make our own judgments is uncertain. Keep this in mind though: it wasn’t too long ago that business schools (MBA programs) began accepting the GRE for admissions instead of exclusively taking the GMAT, and while that caused some confusion and (educated) guesswork at first, the fact that they continue to accept both means they’ve found a way to make the two tests reliably comparable. Granted those two are practically siblings next to the GRE’s and LSAT’s weird, third-cousin-ish kinship, but it can, and has, been done. This difference between CBT and pencil-and-paper is the first critical distinction between the LSAT and GRE. The computer interface requires students to modify the way they interact with the testing material, limiting work to scratch paper and requiring test-takers to look back and forth between scratch work and the computer screen. Thus, many of the annotation techniques and note-taking strategies that students may employ for the LSAT work only in modified forms, if at all. The rolling-administration model of the GRE and individual appointments appeal to many students. If you’re not a morning person, no problem; you don’t have to wait for the June exam for an afternoon administration. In contrast, if being in a room full of other students taking the same test simultaneously appeals to you, the LSAT certainly offers this camaraderie, if not collective anxiety. While the LSAC offers almost all eighty previously administered LSATs as practice material in one format or another, the amount of official ETS GRE material available for preparation is minuscule by comparison. The official CBT PowerPrep software has not had its content updated since 2011 and only includes two full-length tests. While between the Official GRE Guide and an online PDF manual, ETS also offers three more full-length GRE tests, these tests are in a pencil-and-paper format; the section lengths are slightly different; and there is no computer-adaptive aspect to them. Thus, for those students taking the CBT GRE (as noted, compulsory for all who have access to it), to prepare they must attempt to approximate the CBT experience using this printed-out material. All major MBA/post-graduate management programs (including latecomer Indian School of Business) now accept the GRE for admissions. Overall, the GRE is accepted at over ninety percent of business schools. The near-universal admissions department statement about standardized testing is that neither the GMAT nor the GRE is viewed more favorably for admissions. Test preparation experts remain skeptical and advise committed business school applicants to consider preparing for the GMAT first. 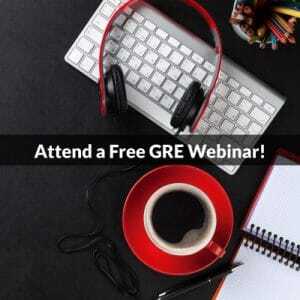 If an MBA program applicant has a marked weakness in quantitative reasoning, test prep experts advise considering the GRE as an alternative, since its quant section is likely less challenging than the analogous GMAT section. If a student wishes to appear “committed” to business school, a GMAT score might be one way to demonstrate this commitment to an admissions committee. If a potential graduate student is weighing different programs, both in management and elsewhere, the GRE makes more sense. Everyone has a limited amount of time and budget, so there is little point in overkill. This preeminence of the GMAT for business school admissions with the GRE offering a strong alternative may presage the development of a similar relationship between the LSAT and the GRE for law school admissions. None of our research indicates that candidates who want to pursue law school have been deterred by the LSAT, including candidates from STEM fields (who do very well on the LSAT). Another reason we have heard is that some schools believe that the LSAT should be given more frequently. LSAC can do better on this and changes are in progress. Historically, we have focused far more on quality and security than on convenience. We believe that with changes in technology we can expand accessibility while still delivering the quality and security our profession deserves. Already we have expanded our schedule to offer the test every other month, removed the limit on the number of times a test taker can take the LSAT, and launched a partnership with the Khan Academy to offer free online LSAT prep for all. More changes are coming soon. A third reason we have heard is that use of the GRE will promote diversity and inclusion. This matter is so critical to our profession and so central to LSAC’s mission that we address it separately below. The LSAC has indeed continued to adapt to current circumstances, increasing annual administrations from four to six starting in 2018 and exploring possible electronic delivery of the test. As changes continue in law school and graduation school admissions, we will continue to keep a close eye on all developments and share our analysis with you. You may wish to subscribe to this blog and to our LSAT and Law School Admissions blog to remain current. As law school adoption of the GRE increases, students preparing for admission in 2018 and beyond may consider at least exploring the GRE to determine whether it is a better match for them than the LSAT. Taking the official ETS computer based GRE is a good initial step, and we also encourage you to visit our free GRE prep resources to find answers to your questions and to take advantage of many tools we share free of charge. One key point to remember is that GRE scores, like LSAT scores, are valid for five years. Even if one test is preferable right now, the other might meet your needs if your plans change. If you have further questions, please comment below or consider registering for our GRE forum, where you will receive expert answers to all your GRE and grad school admissions questions.